Friedichshain-Kreuzberg is one of the most artistic districts in Berlin, and some of its residents have opted for a refreshingly different way of life. 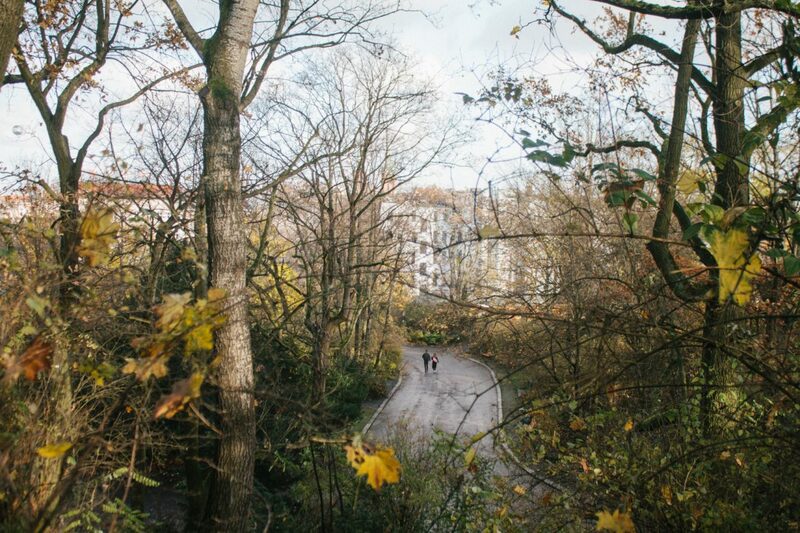 As you stroll through its streets, you’ll spot artists’ workshops in gardens behind houses, allotments in Prinzessinnengärten park and buskers and street musicians on Oberbaumbrücke, the bridge that unites the Friedichshain neighbourhood with Kreuzberg. Our itinerary begins at the Hotel Gat Point Charlie, where our Gat Bikes are waiting for us. 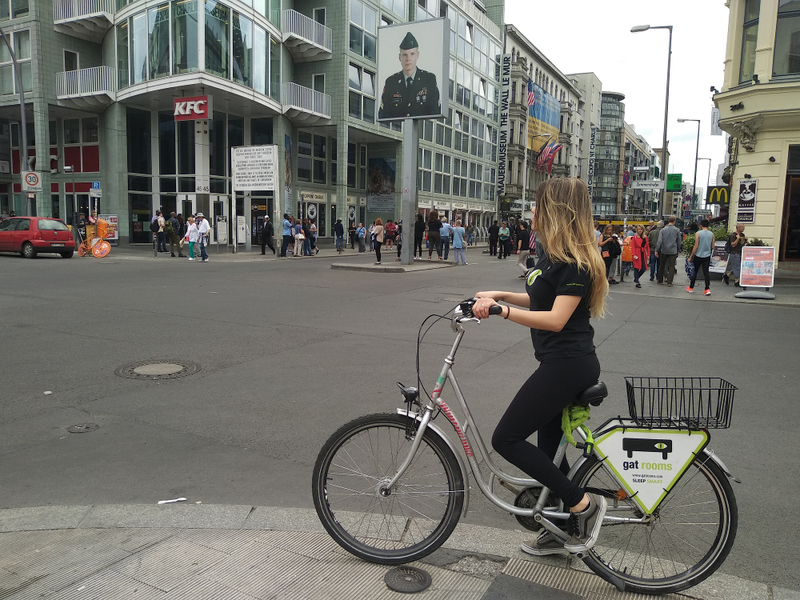 Our hotel is named after Checkpoint Charlie, the former border crossing between East and West Berlin. Located in Viktoriapark, this hill rises 66 metres above the city and is near a roaring waterfall. This place is a shrine to the currywurst! Make sure you stop here to try the best in the city. From April to October, this is the place to enjoy pre-lunch drinks in the beautiful outdoors. This historical market is truly chameleonic. It transforms from “Thursday Market” to “Breakfast Market” or to “Naschmarkt” (Nibbles Market) depending on the day of the week. The only theatre in Berlin with English as the working language. This market selling Turkish delicacies makes it impossible to cycle by without taking a look. Jump off your bike and enjoy the greatest sunset and street art in the city. A vintage art house cinema that screens independent flicks. This park is a creative space that has something for everyone. 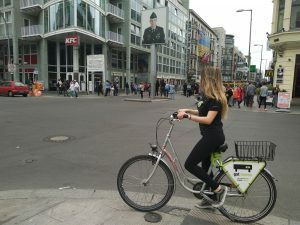 Friedichshain-Kreuzberg is famous for its museums, such as the Berlinische Galerie, the Martin-Gropius-Bau and the Jewish Museum, along with its green spaces–such as Friedrichshain Volkspark and Park am Gleisdreieck, which are ideal for picnics–and also its fantastic night life.